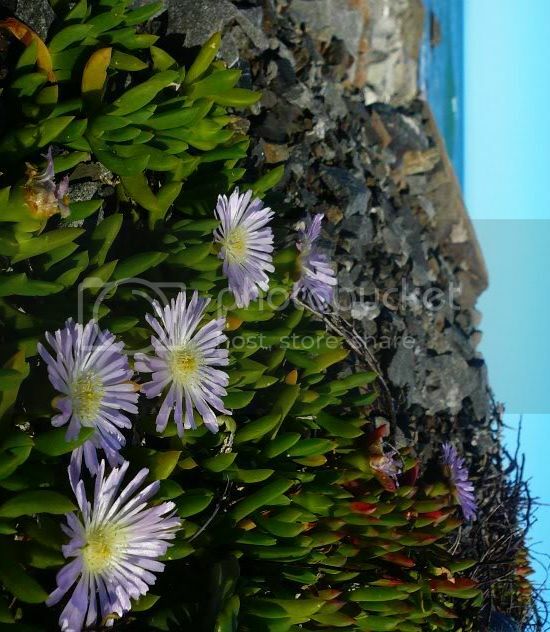 Ice plant has the most wonderfully delicate and beautiful flowers for something that thrives in such harsh conditions. I seem to recall that it's berries are edible too, but I wouldn't go trying it without some more authoritative information than my say-so, unless I were very hungry indeed. Keri visits tomorrow! I hope the weather turns fine so we can go to the fireworks in Oriental Bay. My father used to play rugby with our recently ex and possibly* soon to be unemployed Minister of Foreign Affairs while in Teachers' Training College. Small country. I am happier today, but if my mood nosedives like that again next month, I'm going to see my doctor. *I wouldn't put it past him to weasel his way back into power somehow. It's happened before when I thought there was no possible way. Everyone knows Winnie somehow! Even if National wins, it would be a small victory if Winston doesn't get back in. Although he actually did an alright job as Minister of Foreign Affairs. I think Foreign Affairs kept him busy enough, interested enough and out of the country enough to stay mostly out of trouble, and he did do a good job at it. I still hold the opinion that Winston is on Winston's side, and nobody else's.